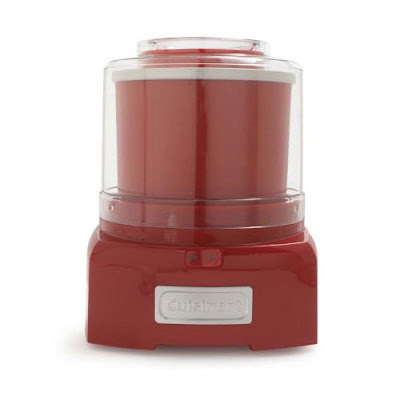 For the longest time I have been bugging Pete, telling him we must buy an ice cream maker. One of my closest buddies has been experimenting and wowing us with her ice cream creations for quite a while now and I have always wanted to do the same. I also have fond memories of my friend Honey's Mum making delicious home made vanilla ice cream for us when we were kids. I can still taste it now when I think back - it was really creamy and tasted like real food, not some chemical experiment. 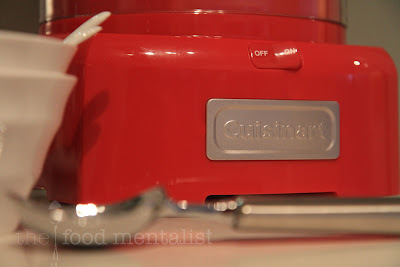 What drew me to the Cuisinart brand was that it comes in a variety of funky colours and my friend raves about hers. It's also very well priced at $89.95 on GraysOutlet online. So when I was asked if I wanted to partake in the GraysOutlet cooking challenge I was wrapped. From a choice of two recipes Pete and I decided to try the raspberry frozen yogurt as we are on a bit of a health kick at the moment and have incorporated fruit and yogurt into our daily snacks. This was the perfect way to combine the two. Using the below recipe was easy - I simply tweaked it a little to suit our dietary requirements. Feel free to reduce the sugar and use low fat alternatives if you like. Place the raspberries and sugar in a blender jar (or food processor fitted with the metal blade) and blend on high until smooth and homogeneous. If desired pour through a fine mesh sieve to strain out the seeds (press with the back of a wooden spoon or spatula). Transfer raspberry liquid to a medium bowl. Stir in milk and yogurt with a whisk. If not freezing immediately, cover and refrigerate until ready to use. Turn on ice cream maker and pour in ingredients. Allow to mix and freeze until desired serving consistency is reached. Begin checking consistency after 12 to15 minutes of freezing. If frozen yogurt is not thick enough, pour back into the freezer bowl and continue mixing/freezing until desired consistency is reached, checking every few minutes. Serve in cups or cones, adding mix-ins while dispensing frozen yogurt. I enjoyed making this, it was really easy and will be perfect over the Christmas break. I can't wait to start experimenting. Summer sorbets & frozen yogurts will be a regular at our house from now on and rich luscious ice cream for the occasional treat or when we have guests over. Next up, I'm going to make a low fat vanilla bean sorbet. Tell me, what is your ultimate ice cream creation? 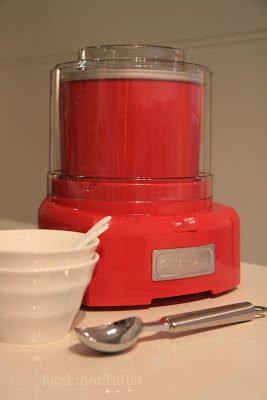 The Food Mentalist road-tested the Cuisinart Automatic Frozen Yoghurt - Ice Cream & Sorbet Maker compliments of Grays Outlet online. I am OBSESSED with my Cuisinart ice-cream maker. 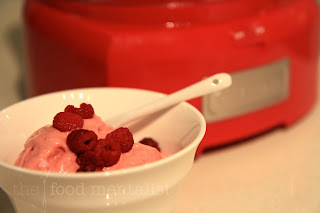 I haven't tried frozen yoghurt yet but I will try this weekend with this recipe! My favourite combo is salted caramel with honeycomb! 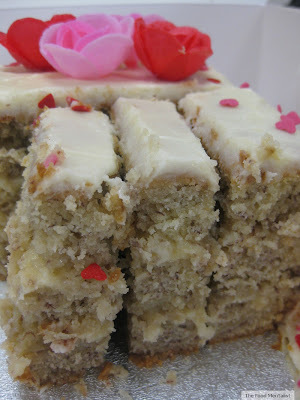 At the moment, I am quite taken in with the brandied fruitcake mixture, sweetened and spiced. I think it would be delicious on or in ice-cream, though on ice-cream, warm...and delicious would be the better choice. The sorbet looks lovely. My daughter who loves all tart berries would gobble this up.